The Yucatan Times is no stranger to reporting and spreading the truth in barbaric and cruel animal traditions all around the Peninsula… We have openly spoken about the absolutely repulsive tradition that is “kots-kaal-pato” and its bloodied history throughout the indigenous communities in Yucatan. 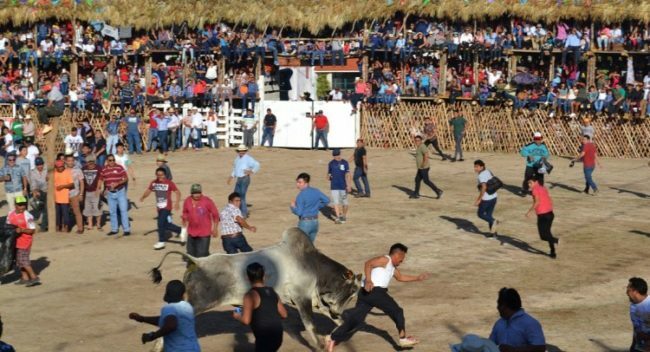 “Baxal Toro“, a festival and tradition consisting in taunting a “toro” (bull) to the point where his only response is to try to defend himself and attack the massive crowd that surround him. As people gather around the animal, the mob taunts and hits him, shoves him and tries to mount him. These actions leave the animal in an absolute state of horror and confusion. There are no records of any of these barbaric traditions in the old Maya chronicles, since this ethnic group was known for its symbiosis with nature and its elements. The Maya word “baxal” means “to play” and “toro” means bull. —This is another “tradition” involving cruelty against animals. Times Media Mexico which includes The Yucatan Times, The Riviera Maya Times and San Miguel Times, deeply rejects, disapproves and frowns upon any actions taken against the wellbeing of any living creature. If we can contribute to stop these blood thirst traditions such as “kots kaal pato” we can surely spread enough awareness for this one to be stopped, happening in comunities like Tizimin, Valladolid, and Sucupo just to name a few. 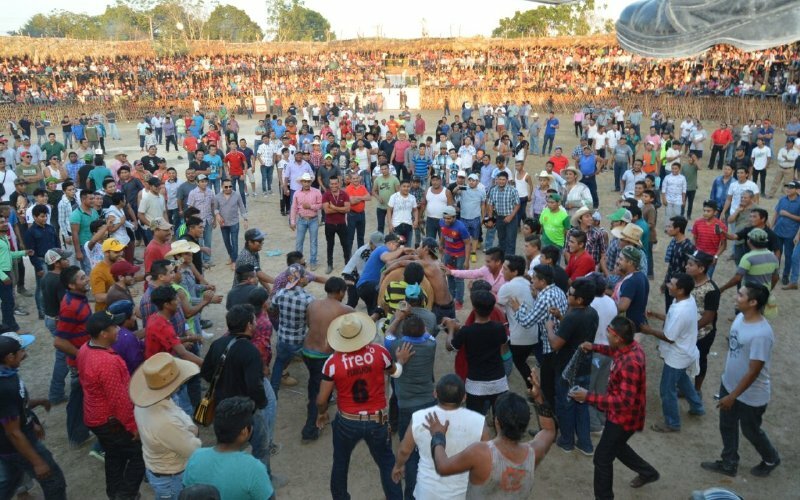 A letter has been sent to the governor´s office and the mayors of the cities involved requesting the eradication of these so-called traditions that do not bear a historic context and have no place in the modern world.